There’s no better reminder that you’re not in the midst of your youth any more than a pounding headache and dry mouth after a big night out. While some surveys have found the effects of alcohol decrease with age, experts say it varies from individual to individual. Factors such as increased inflammation, acetaldehyde build-up, and life circumstances have been found to have an impact on the severity of hangovers as you age. According to the experts at House Call Doctor, as people age, their body can begin to have naturally low levels of inflammation. Alcohol and its by-products have an inflammatory effect on the body. 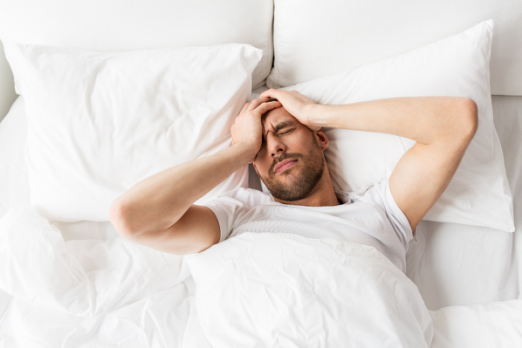 Adding both these forms of inflammation together might cause your body to experience far worse hangover symptoms such as nausea, dizziness, and fatigue. While 33 percent of alcohol breakdown occurs in the stomach, the majority happens in the liver. Two chemical reactions are used to do this and one of the by-products of this reaction is a molecule called acetaldehyde. Acetaldehyde is a harmful molecule that is usually further metabolized into a safer molecule in the liver. As you age, your body’s ability to metabolize alcohol decreases and can lead to a build-up of acetaldehyde in your body. With it being an irritant, it is thought that its increased presence in the body can worsen the severity of hangover symptoms. Many studies have found people aged between 18-29 and 50-59 drink the same amount of alcohol. Those in their 30s and 40s tended to drink less due to family and work commitments. When hungover, efficiency is decreased and your brain has to work harder to complete tasks. As a result, the hangover symptoms can feel worse than they used to. There is no one ‘cure’ for the nasty side effects of a hangover, especially if what used to work back in your younger days doesn’t seem to be working now you’re older. And while the jury is still out on what is the most effective treatment, here are few tactics that may help alleviate some of your pain. Stay hydrated: many of the effects of a hangover are caused by dehydration, particularly as you get older when your body water content decreases. To avoid this, it’s important to drink water between each alcoholic beverage (and before you go to sleep) to keep hydrated and slow down alcohol consumption. Have breakfast: eating breakfast will help steady your blood sugar levels and can relieve nausea, fatigue, and weakness, as well as slowing down your alcohol consumption. Get some sleep: catching up on the lost shut-eye is not always possible, but if you can take a nap, do so. It will help reduce a headache, irritability, fatigue and make the hangover more bearable. Don’t drink more alcohol: hair o’ the dog does not stop a hangover, it just delays the effects. Drinking water will be more useful for helping put an end to a hangover.